Main character, Tommy James, is a true hero and really proves that size does not matter! His likeable character has you rooting for him throughout the whole story as he clearly is the underdog. 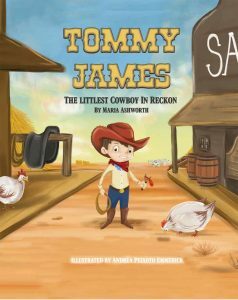 In the quaint little western town of Reckon, Tommy James is the smallest cowboy in his town. He may be small in stature, but his attitude and determination are far from small, and rather, are larger than life! When Bo Jones, the town bully and his posse, begin to tease and taunt Tommy, he pushes through and doesn’t let them get him down. Tommy chooses to ignore the insults in the face of his peers even though they test his nerves! With those numbers on the rise, it’s refreshing to see an author choose to shed light on such a terrible problem as bullying. Tommy James is repeatedly bullied and mocked by his peers, yet continues to stand tall and proud. 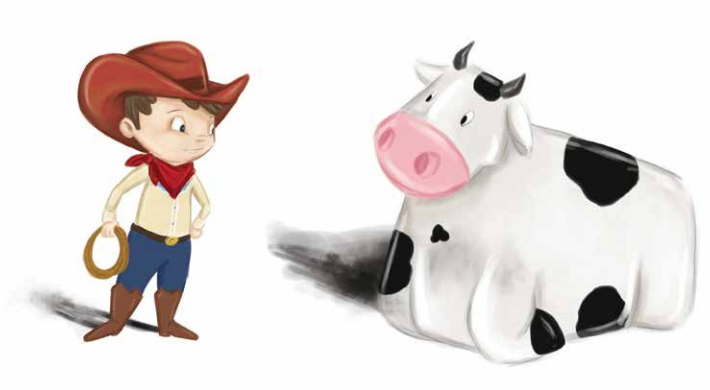 This teachable moment allows children to see how this character faces being ridiculed, and throughout it all, is able to remain confident and courageous, which is truly applaudable. 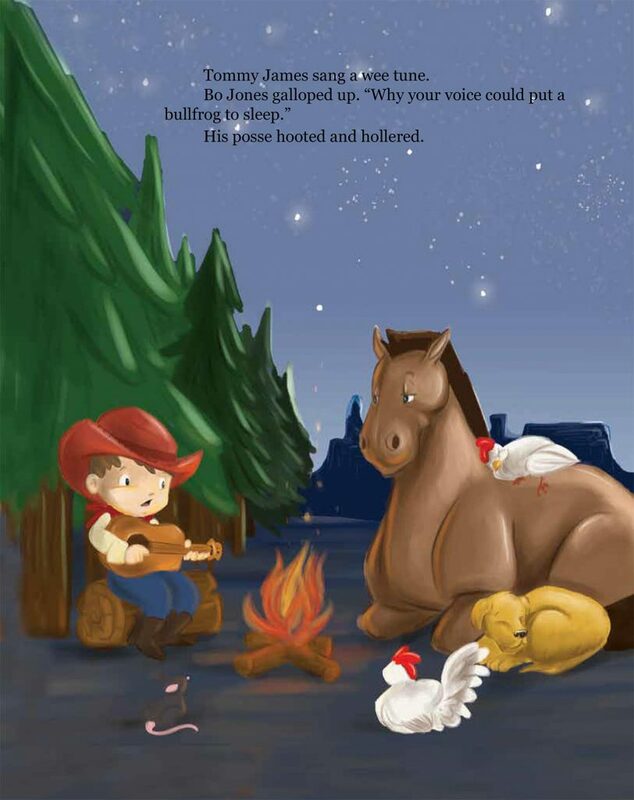 The book concludes with loose cattle running about the town and Bo Jones and his crew can’t wrangle the cows into submission. When all attempts fail, Tommy turns to his voice, which was made fun of earlier in the story (see above photo). Tommy lulls the cows into a trance with his “cattle call” and he’s able to save the town from chaos. 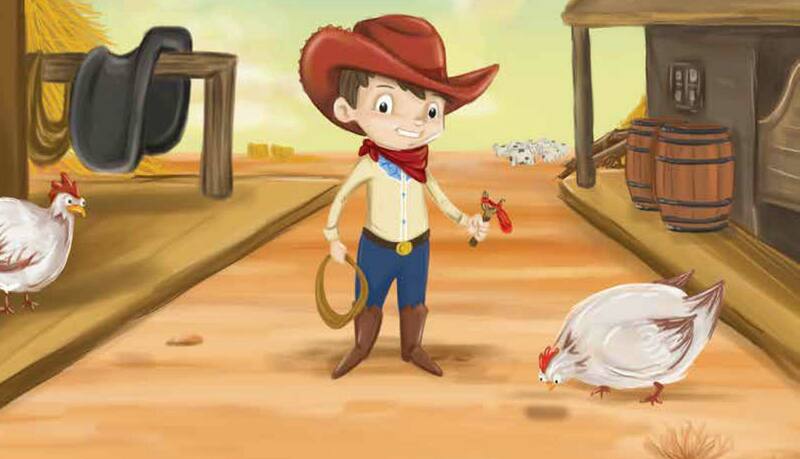 I think it’s ironic and fitting that the tiniest cowboy used his voice to save the day. I believe it’s a reminder to children that you’re never too small to speak up and make a difference in the world around you. Author Maria did an amazing job capturing the spirit of what it’s like as a child and persevering through challenges faced by our youth. I’m looking forward to reading the other books in the series, which I’m sure will offer valuable morals and lessons. 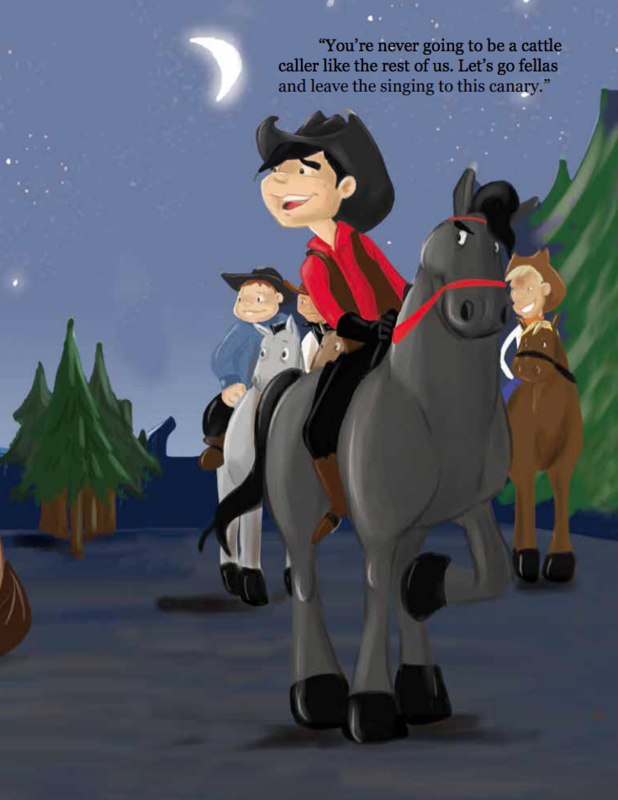 The illustrations, done by Andréa Peixoto Emmerick, were a fabulous addition and truly captured the story in a colorful and vivid way! Disclaimer: I was kindly given a Readers Copy of this book in exchange for an honest review. All thoughts and opinions are 100% my own. Pick your copy up on Amazon or Barnes & Nobles today! Great little book!